The Virginia Department of Environmental Quality (DEQ) today issued a Notice of Violation (NOV) to Atlantic Coast Pipeline, LLC (ACP) for failing to maintain adequate limits of disturbance during tree felling operations in violation of Virginia’s State Water Control Law. These limits forbid work within buffer zones to protect stream and wetland crossings during pipeline development. The NOV identifies violations on 15 separate sites resulting in an estimated 0.84 acres in impact to wetlands and streams. Under the terms of the NOV, ACP representatives are required to contact DEQ within 10 days to discuss how to remedy the situation and explain how they will prevent future violations. While limited tree felling is allowed, the activity cannot impact riparian areas. Furthermore, land disturbance cannot begin until all of the erosion and sediment and stormwater control plans required for all sections of the project are approved by DEQ. 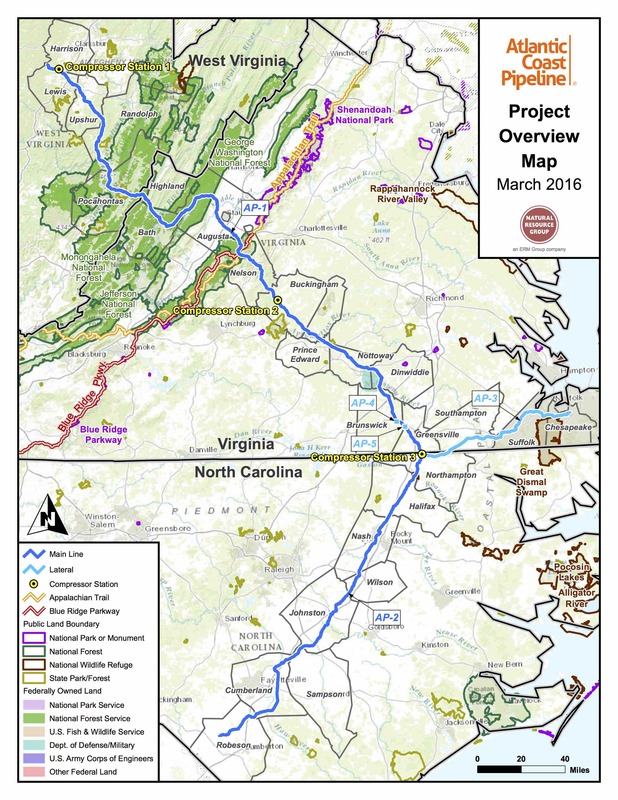 The 600-mile underground Atlantic Coast Pipeline originates in West Virginia and travels through Virginia and North Carolina. The pipeline is being developed jointly by Dominion Energy, Duke Energy, Piedmont natural Gas and Southern Company Gas.